We have a team full of people with big hearts and a true desire to live by our Core Values. These values in combination with our Employer and Employee Promises are shown below are the root of our success as a company. They define who we are and how we conduct ourselves. 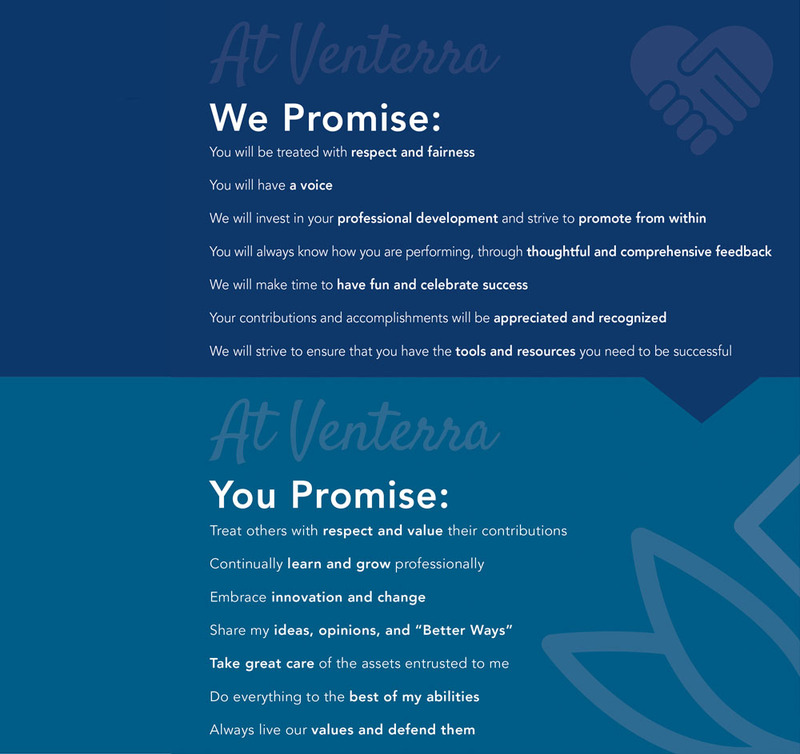 Our Employer Promise outlines what our employees can expect from the management teams and leaders at Venterra Realty, while our Employee Promise highlights the obligations of the employees on our team.